We’ve searched the internet for trusted, simple ways to keep our groceries around for longer. It’s no secret that healthy eating serves as fuel for an active and happy life. So, with the goal of feeding our bodies with healthy and fresh foods, take some time to read through this list of eight tips to keep your food fresh! Children are resilient, but they also experience health problems and injuries due to their active lifestyles. Chiropractic care is a natural, safe, and effective way to help children remain as strong as possible. Read more about the importance of chiropractic care for children here. As chiropractor for the Colorado Ballet and Wonderbound Dance Company in Denver, Dr. Shapiro knows that common injuries among dancers include neck, back, foot, and wrist pain. Regular chiropractic care helps to reduce these types of injuries, as well as improve performance. Find out more about the benefits of chiropractic care for dancers here. Not only are you able to receive care while pregnant, but you should seek chiropractic care during pregnancy. 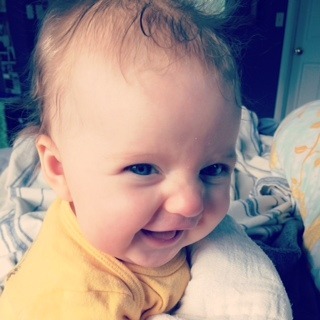 There are benefits for both mom and baby. Find out what they are here! Last year we had the pleasure of joining the folks at Yoga on the Steps Denver as part of their Healthy Living Expo, offering complimentary chair massage and screenings. Ths year we are diving in to this event head first as active participants and fundraisers for Living Beyond Breast Cancer. This amazing community gathering starts at 8:30am in the Cheesman Park Pavillion on the east side of the park. In addition to the beginner/intermediate yoga class, participants are treated to breakfast and are invited to check out the Healthy Living Expo. We are putting together a team and we would LOVE it if you joined us! 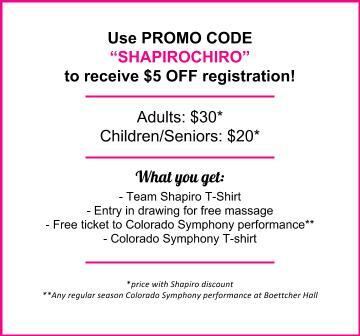 Shapiro Family Chiropractic team members get 50% OFF registration, a FREE Team Shapiro T-shirt and will be intered into a GIVEAWAY for a FREE MASSAGE.